Last time I took a group of American travelers to Italy we visited Matera, a medium size town in the region of Basilicata, in southern Italy. 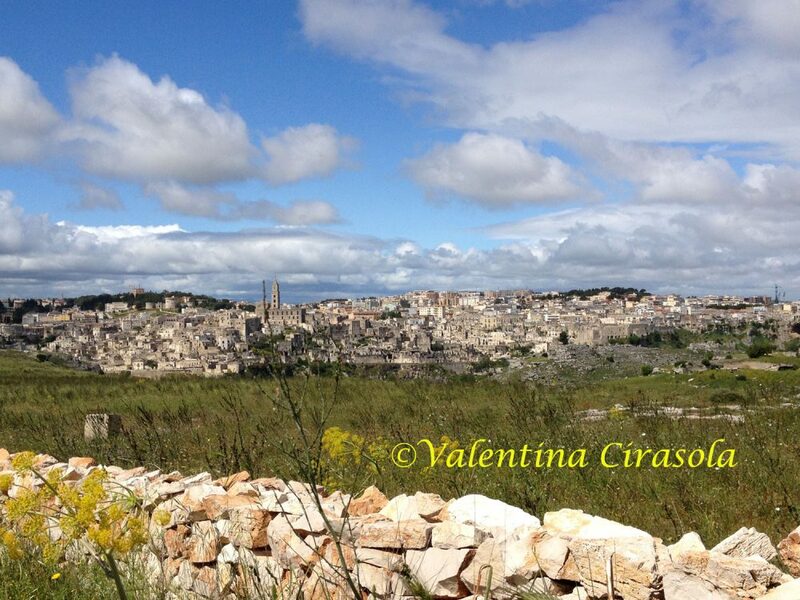 Matera is the largest town in this region and has been the capital town of Basilicata since 1806. The town lies in a small canyon, which has been eroded in the course of years by a small stream of water and that Canyon is called the Gravina. Matera is also known as the Subterranean City, due to its infamous homes created in the caves inside of the rocks of that canyon. 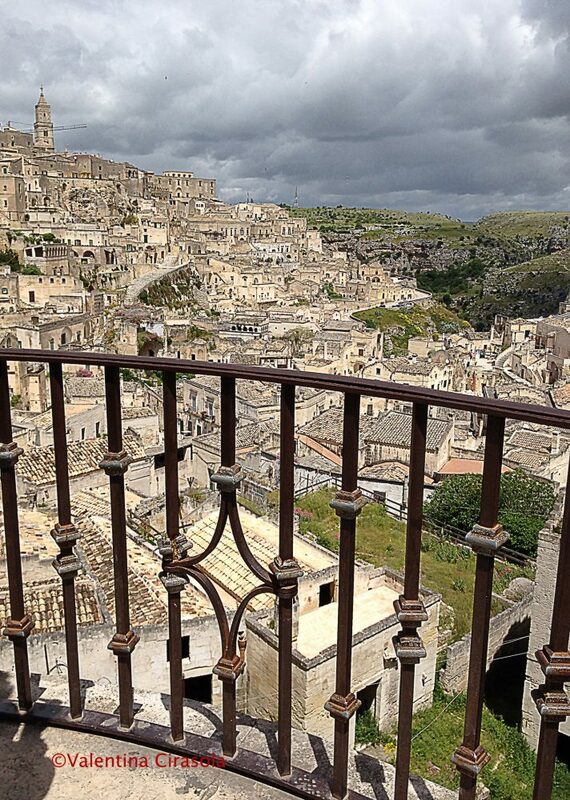 However, a few years ago, Hollywood and Italian Cinecitta’ chose Matera as the set for filming in 1964 of the The Gospel According to St Matthew by Italian produce Pier Paolo Pasolini, and in 2004 for Mel Gibson’s film The Passion of the Christ. Presently, another film is in production, the remake of historic 1959 blockbuster film Ben Hur, in which are now starring Morgan Freeman and Jack Huston. 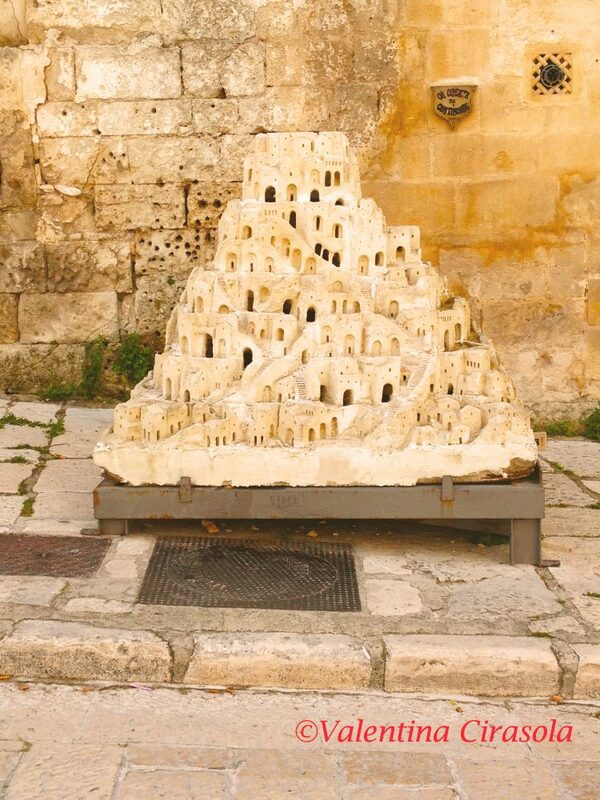 In 1993 UNESCO declared Matera a World Heritage Site and last year it was nominated the European Capital of Culture for 2019. Due to all the new interests in the area, many activities and cultural initiatives have sprung up, like the World Book Fair of women writers from all over the world. What really makes this area so distinctively interesting is not the formal Italian architecture found in Italy, in fact the historic center of the town does not have examples of buildings or palazzi of particular value or refinement, the interests lies in the homes made for poor people inside of caves in the canyon (Gravina), or else known as Sassi. Those homes are examples of spontaneous architecture created out of necessity, where poor people were destined to live. Not having any place to go they excavated their homes inside of the womb of the earth. Visiting these ancient cave homes, one feels enveloped, embraced and a closed relationship with the womb of the earth. The original homes are made with local tufa stone, which is a particular calcareous limestone, malleable that gives out a feeling of warmth when is left exposed and not covered with other materials on top. Tufa stone gives out a feeling of authenticity and natural as nature created. It is not uncommon to find rock fossils of seashells in the tufa stones, which makes these homes so authentic. As I said, poor people lived there, but during the ’60s and ‘70s the government offered them low-income housing arrangement with running water and electricity and little by little they vacated the caves for a better and more modern living in the town. Today, after Hollywood filming and Unesco recognition as World Heritage, local people are returning to cave living, making some big improvements with modern amenities. Now we see elegant hotels and restaurants being propped in there that are maintaining the characteristic of the caves. If I were the designer remaking these cave homes, I would work with a warm palette that agrees with the warm tones of the tufa stone, using oxidized or etched copper as fixtures to recreate the patina of a corroding water stream. I would use opaque resins with oxides coating, type of Venetian style and for the floor, I would use the typical street pavement of the area called chianche, very beautiful stones or handmade ancient terracotta without cooked waked on top. For the furniture, I would choose the shabby chic style. Although in general I do not much like it, especially when it is very distressed, I believe it would be the most compatible with the type of environments we are confronted in the “Sassi”.